With “Inferno” Dan Brown published his forth book in the Robert Langdon series. I enjoy the combination of a thriller with art and symbolism. I also like Robert Langdon as a protagonist. However, I start to find Brown’s book very repetitive. Brown certainly has his recipe that worked well for him before but I think he should start to mix things up a little bit. We readers can get bored, too. Brown kind of changes things a little bit in “Inferno”. 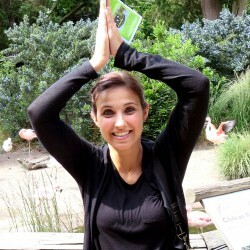 Instead of starting the story from the beginning, we get thrown into the middle of the story. Langdon wakes up in a hospital in Italy and has no clue how he got there. And to make matters worse someone is trying to kill him. 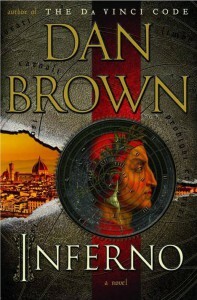 I liked “Inferno” better than the third Langdon book. The change of storyline freshened things up a little bit. And I did not expect the little twist in the end. However, Brown did not sway too far from his recipe. We have the female companion again and Langdon is chased by the officials again. And why is every woman attracted to Robert Langdon? Why do they always have to be much younger than Langdon? It sometimes feels like I am reading Brown’s own fantasy. Young, attractive woman cannot help but to fall in love with the older professor. Just no. All in all, I liked this book. It was a little different and had a good pace. The Langdon series goes on.